2241 Squadron (Regent House) has long been a part of life here at school. 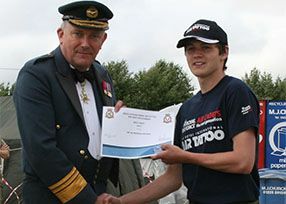 We are not a direct recruiting organisation, but rather seek to give young people who have an interest in the R.A.F. and indeed all things aviation, opportunities that would simply not be available elsewhere. Core activities involve adventure training, Air Experience Flights, marksmanship, gliding, first aid training, competitive sports, drill, aircraft recognition, overseas camps, music, team-building amongst many others.